Numerous professional book review publications highly recommend “Real Life: Construction Management Guide from A-Z” as a guide for new and seasoned construction managers everywhere. The book’s stellar commendations further proves how the author’s insights and expertise effectively tackle other aspects that the career of Construction Management demands. Jamil Soucar has definitely come a long way from finding inspiration when he was holding night classes for working adults about construction management to publishing his comprehensive, conversational, and easy-to-read guide about the profession. By recognizing the need to include a realistic and practical approach in the practice, many highly-regarded his book as a worthy resource that would greatly benefit their careers. According to Pacific Book Review, Soucar “does a wonderful job of revealing the realities of construction management.” The stellar review states that “Real Life: Construction Management Guide from A-Z” expertly fulfills its purpose by “conveying both the technical side of the job along with the personal experiences and things one would never imagine come into play in such a technical job” as well as addressing the issues that professionals in this field may experience throughout their careers. She also shares how the book is “a conversation about real life and human factors as well as a guideline for best practices, the book offers solutions to navigate multiple personalities, politics, and agendas, making the estimate that 20% of construction is job management, and 80% is people skills.” Such commendation further proves how the author’s insights effectively tackle other aspects that this particular career demands. Finally, “Real Life: Construction Management Guide from A-Z” also received high star ratings from various City Book reviews. These professional reviews share how Soucar’s comprehensive guide brings an in-depth understanding in the world of construction and expertly guides readers from the beginning to the end of every project—making it an excellent and handy resource for contractors and construction managers alike. 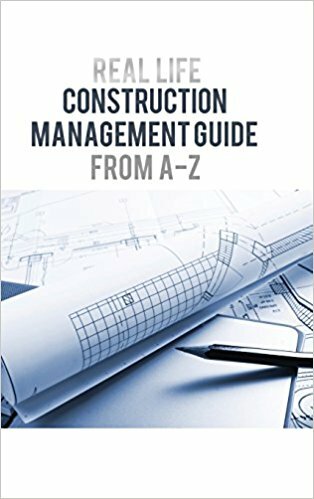 Highly-recommended by professional review publications, interested readers may purchase “Real Life: Construction Management Guide from A-Z” on Amazon: https://www.amazon.com/Real-Life-Construction-Management-Z/dp/1480941395/. Jamil Soucar has passionately worked in the construction industry since 1983. He holds a Bachelor’s degree in Civil Engineering and licensed as a B-General Contractor. He has a construction management consulting business in Los Angeles, through which he consults to general contractors, owners, and architects, and provides expert witness service to construction attorneys. Jamil has overseen over 500 projects from inception to closeout. He has worked as a superintendent, a project manager for contractors, and a constructions manager consulting to owners. He has worked in civil engineering design and drafting surveys. Jamil was inspired to write this book after teaching construction management at night for working adults. He realized the need for construction management taught from the perspective of real-life experiences.